Advice for Victims of Holiday Food Poisoning Abroad - Claim Compensation! Suffered Food Poisoning or Illness Abroad on a Package Holiday? Simpson Millar LLP Solicitors’ No Win No Fee travel lawyers have an enviable reputation in the travel industry when it comes to claiming compensation from tour operators. Why not call us on 0808 145 1353 for a free consultation or start your claim on line. Our team of experienced lawyers have over 80 years of experience in successfully recovering compensation for families and individuals who suffer food poisoning abroad whilst on package holidays. Every year thousands of British families, couples, groups of friends and individuals save hard to go on a relaxing break abroad. Two weeks away in the sun relaxing by the pool whilst enjoying the culture and the cuisine in a foreign destination. Many holidaymakers book all-inclusive holidays as it allows them to budget in advance for that special holiday but, for many travellers they find themselves bedridden within 72 hours of arrival with a gastric illness. Tour operators, such as, Thomson, First Choice, Thomas Cook, Jet2Holidays etc. have a duty to ensure that their hoteliers provide services with reasonable skill and care. In food borne cases ‘reasonableness’ is judged by reference to international food safety standards and hygiene practices. Holidaymakers subjected to the negligence of the hotel who fail to observe those standards are able to claim compensation pursuant to the 1992 Package Travel Regulations. A large proportion of UK travellers suffer from classic symptoms of food poisoning whilst oversea each year. These symptoms predominantly include diarrhoea, nausea, stomach cramps, fever, vomiting and headaches. 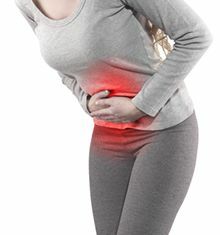 If you are a victim of food poisoning you should seek medical advice from your General Practitioner as the consequences can be very serious if they are left untreated. Providing stool samples may be an unpleasant experience but the medical diagnoses is important when claiming compensation for a bout of holiday food poisoning. We advise all out clients to keep receipts to evidence their out of pocket expenses whether this is for over counter medication or replacement clothing. Our travel lawyers have acted for thousands of clients who have suffered food poisoning and contracted holiday illness whilst travelling abroad. To read more about this from Simpson Millar LLP Solicitor’s travel team see our Holiday Hotel blog, which features "Hotel-Watch" alerts sickness outbreaks at hotels and resorts abroad where we are receiving reports of holiday illness. What the unwary holidaymakers does not know it that food poisoning bacteria do not affect the taste, smell or appearance of the food served in hotels. There is often no way to tell whether the food on a buffet will cause serious food poisoning or not without costly microbiological testing. Food poisoning bacteria know no bounds and can strike traveller staying in the highest rated 5 star hotels. It can severely affect the very young, the elderly, the weak and infirm, causing rapid dehydration. Illnesses caused by contaminated food can be very serious and may result in death. The symptoms, incubation period and duration of illness vary with the different types of food poisoning bacteria, and the experts we instruct will use this information to substantiate your claim for compensation. The incubation period (the time between eating contaminated food and the appearance of the symptoms) may be as short as 1 hour or as long as 72 hours. The symptoms may last anything from 1 to 14 days but often the victims of food poisoning are left with complications such as Irritable Bowel Syndrome, Reactive Arthritis and anxiety. What are the Common Types of Holiday Food Poisoning? There are various forms of food poisoning that occur on package holidays. Bacterial food poisoning is commonly caused by Salmonella, E. coli and Campylobacter and will cause illness to travellers if they are sufficient in number. Unfortunately, if the hygiene at a hotel is poor bacteria is able to multiple and will quickly reach the infective does resulting in infection or intoxication. If food is left festering on a buffet at a luke-warm temperatures for long period of time it is likely to cause illness. Temperature is one of the best tools available to hotel food handlers to control bacterial growth. The simple rule is keep it hot (over 67°C) or keep it cold (below 5°C) or don’t keep it at all. The temperature zone between 5°C and 67°C is known as the danger zone for food poisoning bacteria because it will rapidly multiply within this range. Salmonellosis is the most common form of holiday food poisoning claims brought by Simpson Millar LLP solicitors against tour operators. There are at least 1800 serotypes (strains) of the Salmonella group. 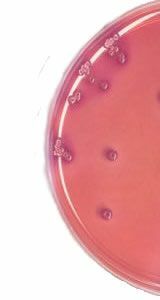 The two most common are Salmonella typhimurium and Salmonella Enteritidis. This most common holiday bug is found in the intestine of warm blooded animals including humans, cattle, dogs, cats, poultry, birds, mice, rats and insects (flies and cockroaches) and their faeces. The other common causes of food poisoning for UK travellers that we have successfully made claims for include: Shigella, Giardiasis and Entamoeba histolytica parasites all of which exhibit symptoms associated with Salmonella food poisoning. If you are bringing a claim in the UK pursuant to the package travel regulation 1992 you have 3 years to issue court proceedings before the claim is time barred. Time limits vary from country to country so we always advise you to seek legal advice immediately. What can you do the help us and increase you prospects of success? Call or email a member of our travel team whilst abroad for advice – use the hotel’s WiFi to contact us for free advice.